Research on the cutting-edge of economics, ecology, and ethics is presented in this timely study. Building from a theoretical critique of the tradition of cost - benefit analysis, the contributors lay the foundation for a macroeconomics of environmental sustainability and distributive justice. Attention is then turned to three of the most critical areas of social and environmental applied research - biodiversity, climate change, and energy. The contributors redefine progress away from growth and toward development. To this end, the first section of the book tackles the dominant framework used in the US today to evaluate tradeoffs between economic growth and its inherent externalities. Succeeding chapters cover a wide variety of studies related to biodiversity health and energy. 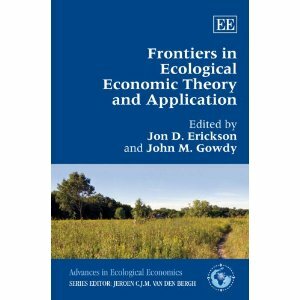 Each section is anchored with overviews by top scholars in these areas - including Herman Daly, Carl McDaniel, Stephen Schneider, and Nathan Hagens - and followed by detailed analyses reflecting the transdisciplinary approach of ecological economics. Students and scholars of ecological, environmental, and natural resource economics, sustainability sciences, and environmental studies will find this book of great interest. Nonprofit and government agencies in search of methods and cases that merge the study of ecology and economics will also find the analyses of great practical value.